Thanks to the Solar activity. 10m is a BOOMIN’ and I Just had to take part. However my G5RV Dipole does not really work well with my FT-950 and its Internal Antenna “Tuning” Unit. I can go and buy a better external tuner but why bother. 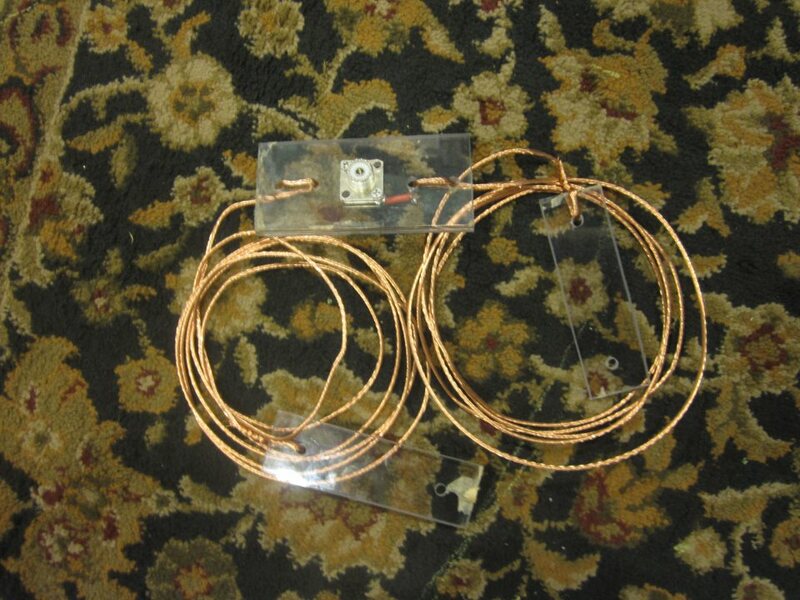 With some 16ft of copper wire you can have a Dipole for 10M. I made just that. Here is a picture of my Dipole (In its in-completed state). It’s simple as it gets. Two wires cut at around 8ft each insulted by some sawcut plexiglass and a chassis mount SO-239 Connector. Since I didn’t want to run it outside hoping that I get my Butternut installed, I placed the 10M dipole up in the attic connected to already ran RG58 with a Coax Choke at the end. Thinking I wouldn’t get anywhere with this antenna I was very surprised when I turned on the rig to hear stations in South America coming in . Considering my house is wrapped in Aluminum siding, I am really surprised. So if there are any tech licenses out here. It doesn’t take much to make DX contacts on the tech portion of 10M. All these countries and more from a Dipole in my attic surrounded by aluminum siding! So please get on the Air! Another great accomplishment is that I Finally got to work a station in Japan! That was a goal I’ve been wanted to do in the past two years. With the conditions and propagation that we’ve been seeing, It was possible. Got to work JI1RXQ in Koga, Ibaraki, Japan. It was during the JARTS contest so it was a quick contact but I’m still grateful. Also please stay tuned as I’m updating a lot of the Articles and adding a new completed homebrew project!